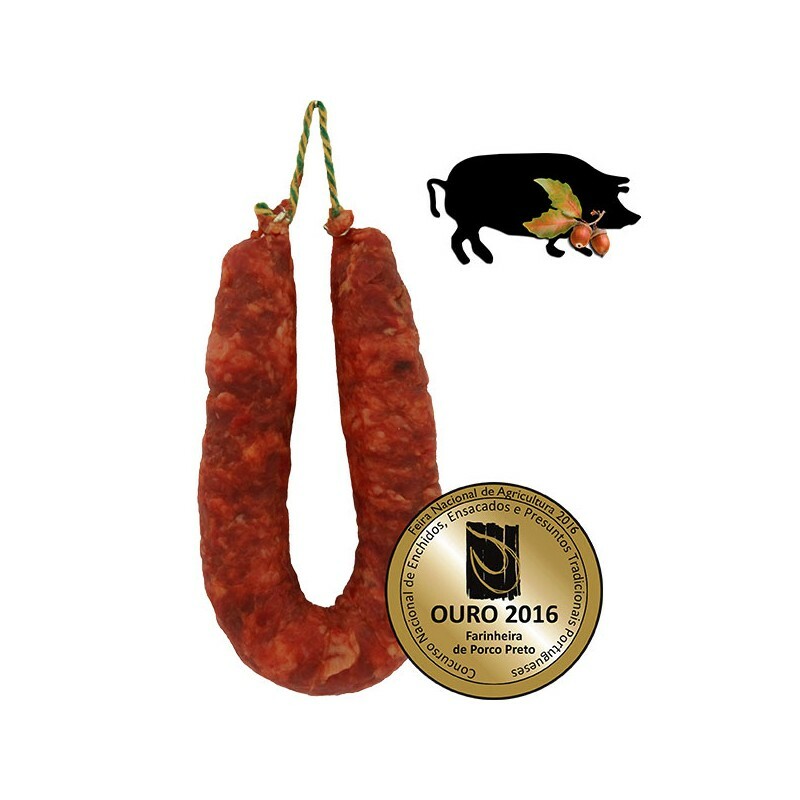 The Portuguese traditional chorizo, produced with black Iberian pork meat. 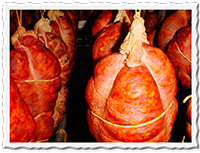 The best, most famous and delicious pork meat. 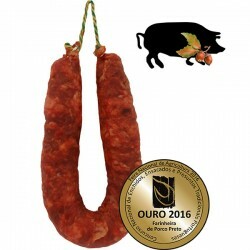 In Portugal named “Chouriço de Carne” Meat Chorizo it is very famous for its quality and delicious taste. When it’s time for party with friends and family the red chorizo can’t be missed at the table. 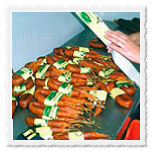 In Portugal the chorizo sausage it’s also consumed as one “petisco” or tapas. Ingredients: Black Iberian pork meat and pork fat, peppers, salt, garlic. Filled with natural pig gut. Cured in the traditional Iberian method of smoked chamber with holm oaks wood. Remove from the packaging 30 min before consuming. In a modern and contemporary unit, respecting the highest hygienic and sanitary requirements, old wisdom and methods are preserved, evoking the memory of the traditional Alentejo smoked products. The quality of our products is imposed by experienced hands in the meat laboring, using ancestral know-how and giving the time necessary for the flavors and aromas to develop. 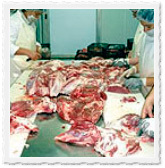 In order to obtain the best products and the complete use of the pork meat, the manufacturing process starts with an appropriate selection of the pork meat for each type of product. Clean and cut the pieces of pork meat, removing fats, nerves and bones. After the Cut, savvy and skill hands season the meat with chili, garlic, salt, wine and spices. Then the seasoned pork meat rests to acquire the taste provided by the condiments. Then it’s the filling phase in which the pork meat is introduced into natural pork casings, gaining the covering that will allow it to pass through the different stages of healing. The sausages are hung and will remain there until they are ready. The curing is carried out slowly in the air and the smoke of holm oaks wood, being prolonged to provide high-quality sausages: succulent, intense aroma and little saltiness. When the products acquire the desired flavor, aroma and consistency, they are prepared and packaged to follow to the most demanding consumer. We take care of the image and innovate in the presentation of our products: we want the consumer to easily identify our products and that our packaging is useful in preserving the freshness and taking the necessary quantity and presentation.